It's the first day of 2018...where did time go? I'm not sure?! So, let's look back on what I posted about the first day of 2017. I guess maybe it's ironic that I haven't looked at this list since then, though I have completed a lot of it, so that's good. I submitted a proposal, but it wasn't accepted. At least it was partially complete. I'll be working on that one again for 2018 for sure. 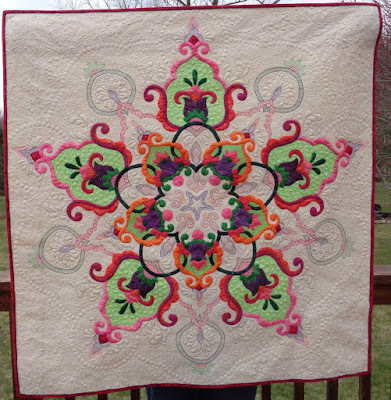 I also had two other quilts published in their magazine. One was a winner in their contest. 3. Finish that show quilt that's been sitting still for the last 6 months. I finished it! And I have another sitting that is almost done...I AM going to finish it for MQX! Completed! 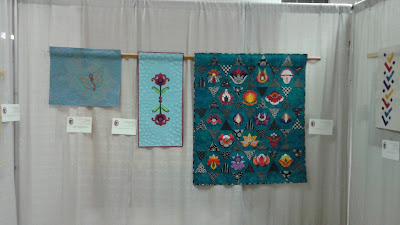 It was so fun to see all the quilts hanging together. 5. 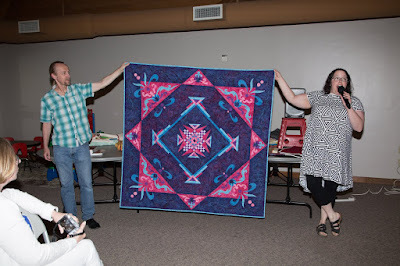 I will be teaching/lecturing at local quilt guilds here in MN and in WI. I'm excited! Done! And more scheduled for this year. Yay! 6. 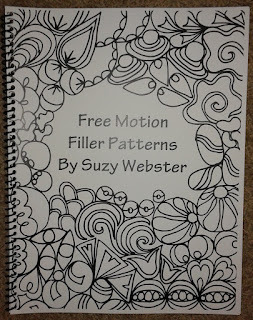 Hopefully I will start teaching at Forever Gifts Boutique in Prescott, WI. Done! It has since changed ownership, so I need to talk to the new owners. Done! It works well when you remember what your password is...when you don't it can be embarrassing. Oops. 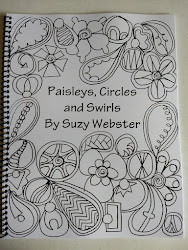 Well, I did another book, self-published this time. Done! Done! And it went on to ribbon at MQX. You can read more about it here. 1. 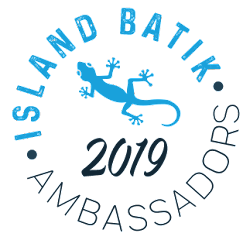 Write a pattern for Island Batiks and (fingers crossed) continue to be an ambassador for them. 2. 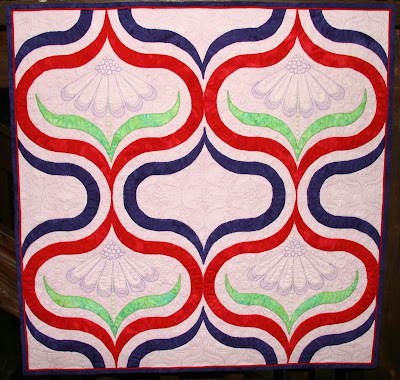 Try to get articles/patterns published in magazines OR work on a new book to be proposed to quilt publishers. 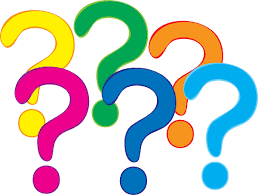 Let's be real...it's one or the other until a book is done. That's the way I'm leaning right now. 3. Finish that show quilt that's been sitting still for the last 6 months. Yes, I have another. I hope to have it done for the MQX deadline. 4. Fill out the paperwork to apply to teach at a Minnesota Quilters Show in the future. This also involves developing class and lecture proposals. 5. Figure out a good place to teach locally. 7. Sell some of my small pieces as the pile is getting rather large. Wow, your stuff is gorgeous. What a year! You are amazing!!!! What an incredible year!!! Well, wow! 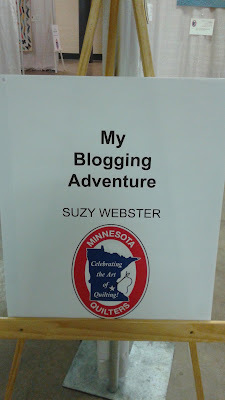 I'm going to have to find your exhibit when I'm at the MN show! You have some good goals for 2018! Best of luck in the future Suzy, lots of great goals!! 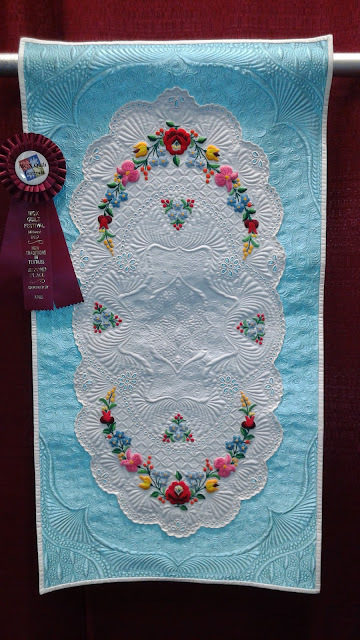 I have several vintage pieces I keep saying I'm going to quilt.....yours is beautiful!